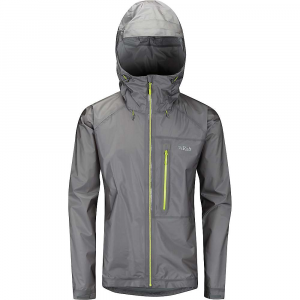 My Trail's Storm UL Jacket is a waterproof and breathable shell that gives you a lot for a budget price. With two low zippered pockets, an adjustable hood and cuffs, and armpit zips, it has some features you don't see on a rain shell that retails for under $100. The jacket has an athletic cut that only allows for a lightweight layer underneath it; it is probably a jacket best suited for people with a medium to slender build. 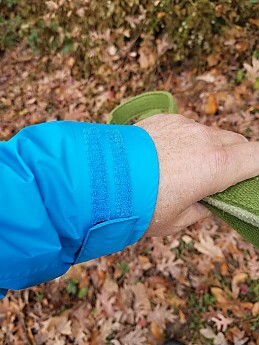 Lighter jackets like this can present issues if you expect to be off-trail or in high-abrasion environments, but the jacket has held up well for me. 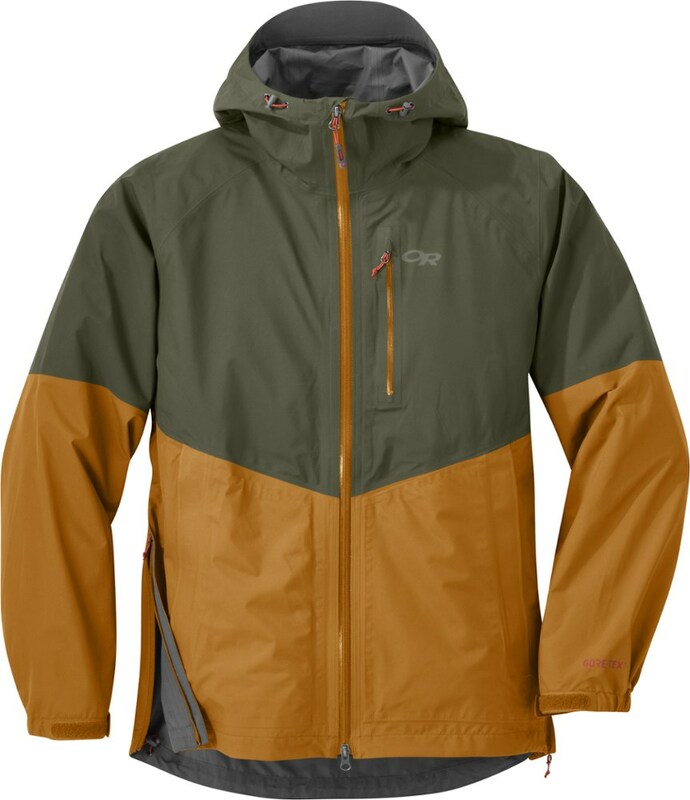 The Storm UL Jacket is a great rain and wind blocking jacket for warmer three-season use, particularly if you don't want your jacket to add much weight or volume to your pack. 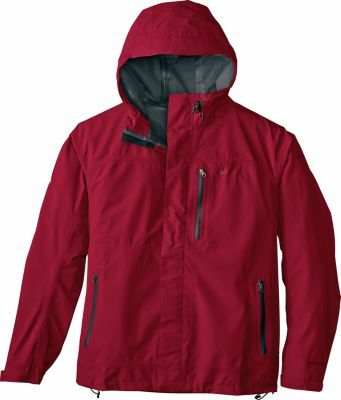 The Storm UL Jacket is a coated nylon jacket that is both waterproof and capable of venting moisture. 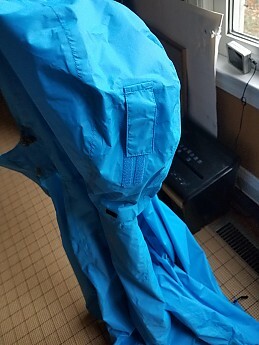 Like many jackets that use this waterproof/breathable solution, it does not (in my opinion) allow moisture to escape with the same efficiency as membrane solutions like Gore-tex or eVent. 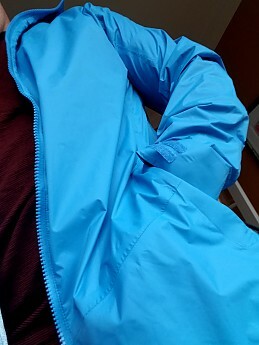 However, this jacket has good armpit vents that work, and that generally don't accompany a coated nylon jacket at this low price point—bravo to My Trail for prioritizing this important feature. 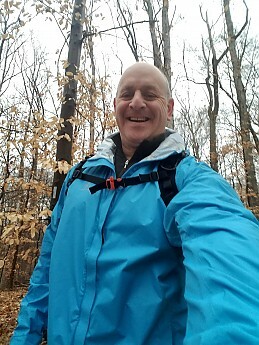 The jacket is very light in weight and rolls up to about the size of a large grapefruit (men's size XL), so it is a great choice for hikers who are counting ounces and place a premium on space. The jacket works best for average to narrow builds, or in situations where you don't expect to layer much. I like that the arms have good freedom of movement, but I would not wear anything more than a thick base layer under this. Basic adjustments include an elastic at the hem, pull cords for the hood, hook/loop strips that allow you to shrink the hood, and hook/loop cuffs. The hood adjustment above is unconventional, but it works. This is not a huge hood, but I was happy to see it didn't droop over my eyes, even when soaked. Notably, the hook/loop on the back of the hood can be used to roll up the hood and stick it to a small hook/loop tab at the back of your neck on the outside, a nice feature if you like to keep the hood out of the way when you aren't using it. Let's face it, one of the primary purposes of a jacket like this is keeping you dry in rainy and windy weather. This jacket does the job well. 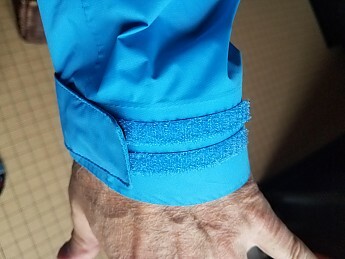 The pull-tight elastic at the hem, adjustable cuffs and hood, and long stiffened flap that protects the zipper all function to keep the rain out, period. Out of the box, this has good durable water repellant, so raindrops roll off easily. The two zip pockets also have flaps protecting the zippers from water intrusion. 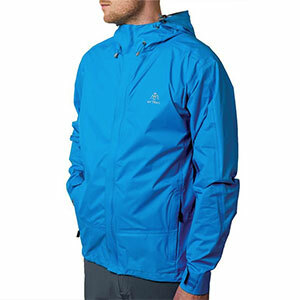 Another very desirable function for a light rain jacket is the ability to let internal moisture escape. 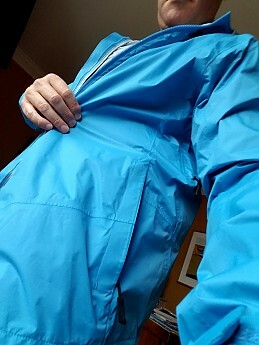 The coated nylon fabric does a decent job with this—much better than a jacket made of coated, non-breathable nylon. 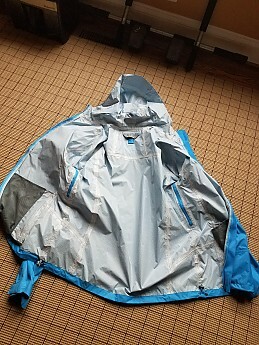 I don't think this fabric allows moisture to escape as well as most Gore-tex or other membrane waterproof breathable jackets (Polartec NeoShell or eVent, for example). 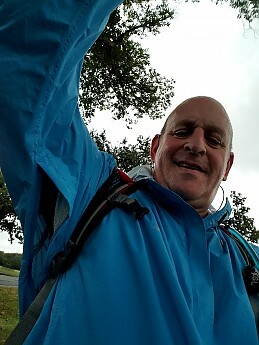 My Trail addresses that by adding armpit zips which are decently long and which are a big ventilation advantage for a low-priced rain shell. Armpit vents largely offset the less-effective breathability you see in coated jackets. As a result, I'm much more likely to reach for this shell than other coated nylon rain jackets. Two zippered pockets, where you would normally put your hands. Zipper pulls are easy to grab. 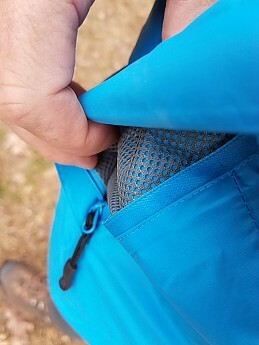 The pockets themselves are made of mesh, so I don't carry particularly heavy stuff in them. Good sized, and the zippers are covered with fabric. 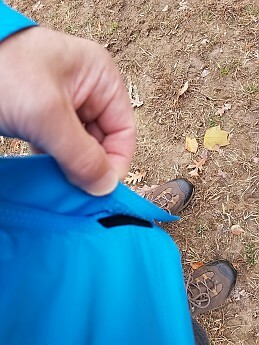 Don't expect to access these pockets if you have a backpack with a hip belt on. 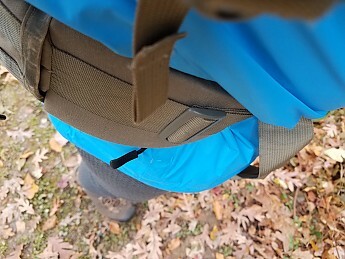 You can see how the pack belt totally blocks access to the pocket. The fabric itself is shiny and smooth on the inside—it can feel slick from perspiration if you are hiking hard. A jacket cut narrow like this does not have a lot of extra fabric to flap in a high wind, but the jacket does tend to be noisy or "crinkly" when the wind blows hard; it's noisy. I have seen this on other coated nylon jackets. 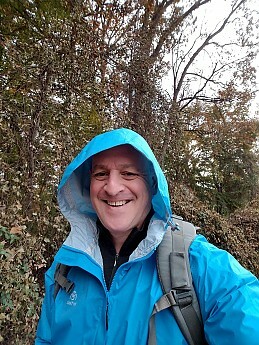 I wore My Trail's UL Storm jacket on many hikes and walks over the last few months. Despite many miles under backpack straps, I don't see any wear on the fabric. The jacket is generally very well put-together. I mostly used the jacket as a wind shirt for a while, because we didn't have much rain this fall. 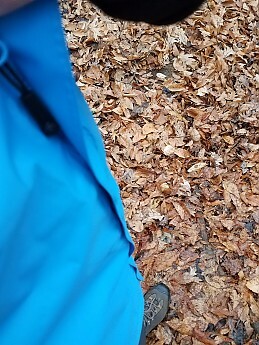 Lately, I have had the opportunity to take number of wet weather walks and hikes in the jacket, and I like it so long as it's not too cold; because it's narrow, I can't wear more than one medium weight layer underneath. Breezy afternoon, low 40's, no rain. Hiked a couple of hours by the river, pit zips open, long sleeve wool base layer. Ended up shedding the jacket after I heated up. The inside surface was damp but not soaked. Does a great job with the wind. 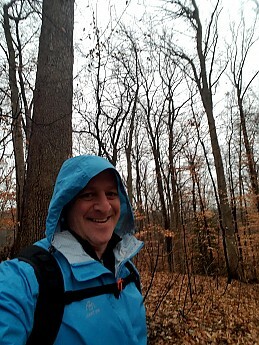 Morning hike on trails near our house, 45-50 degrees, misty, some rain. Pit zips open. Long sleeve lightweight wool base layer. Ended up unzipping the front after a while. Damp inner surface. Used the hood on and off. Afternoon hike, high 50s, raining most of the time. Short sleeve synthetic base layer. Walked a few hours, moderate to very sweaty. Inside of jacket is damp. No rain getting in. 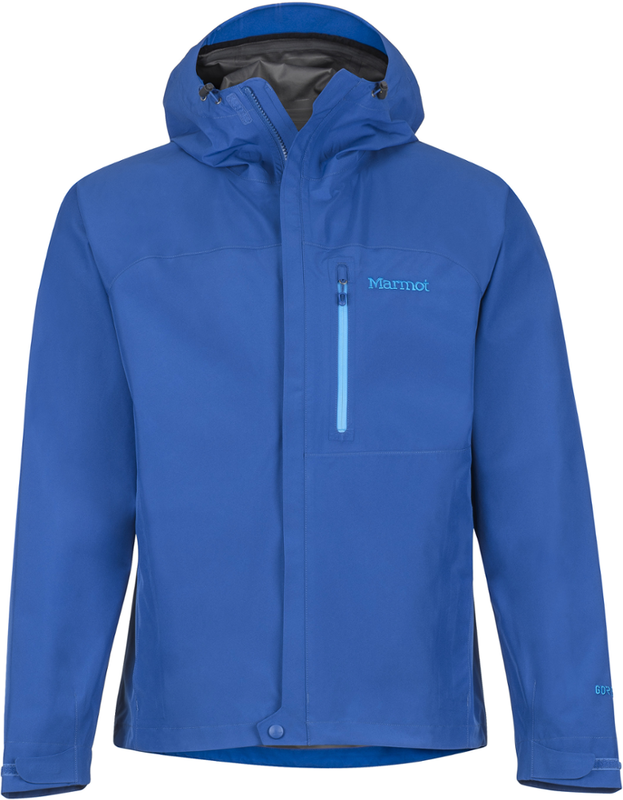 It would be worth comparing this jacket to similar popular options like Marmot's Precip, Mountain Hardwear's Finder Jacket, or The North Face's Venture 2. 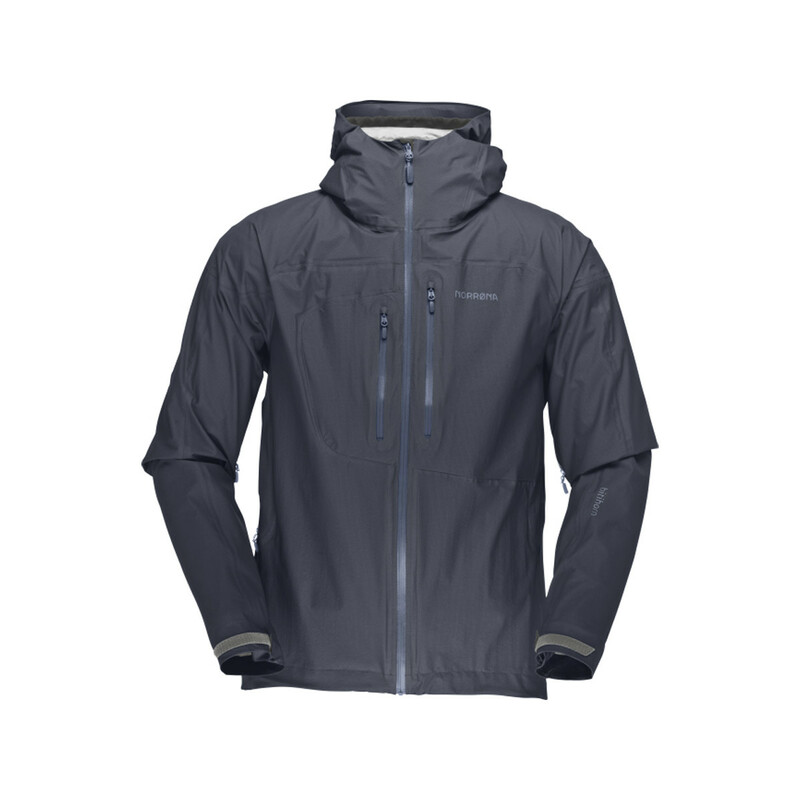 This jacket has better adjustments and smarter features than any of these competitors, and the weight is very competitive, on the lower end of the range. It doesn't offer the same kind of performance as much more expensive jackets, but you can't really expect that from a jacket of this price. Overall, the Storm UL Jacket is a very good choice and a jacket that will make you happy when the rain starts falling. Nice review, Andrew! Thanks for testing out this jacket. Having those pit zips is really helpful in rain and on hot days. A lot of "top of the line" jackets lack pit zips. 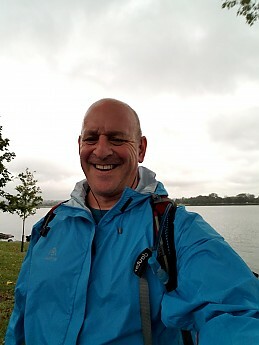 I have a couple waterproof jackets that are Gtex that lack the zips, plus some low cost ones by FroggToggs and Ducks that get sopping wet inside in warm weather. Good to find something at a reasonable price. 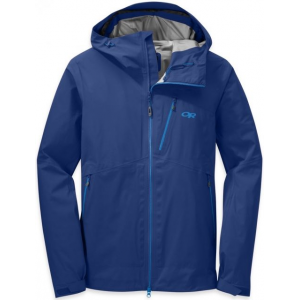 The My Trail Storm UL Jacket is not available from the stores we monitor.